The LANXESS Tower in Cologne, Germany. The company currently has about 15,400 employees in 33 countries and is represented at 60 production sites worldwide. Julian Haspel, who heads the e-Powertrain group at LANXESS, at the VDI Congress ‘Plastics in Automotive Engineering’ in Mannheim, Germany. “We coordinate knowledge exchange among our application and processing development centers, which we operate in all of the world’s major economic regions. The aim is to provide our international partners with the best possible products and service locally. We are also responsible for close-to-production and advance development projects,” explained Julian Haspel, who heads the team. It is estimated that far in excess of 120 million vehicles will be produced in 2035. According to studies conducted by LANXESS, around 90 percent of those will be electrified – equipped with either a mild-hybrid drive, plug-in-hybrid-drive or fully electric drive. However, around 80 percent – the vast majority – of newly registered vehicles will still have a combustion engine. 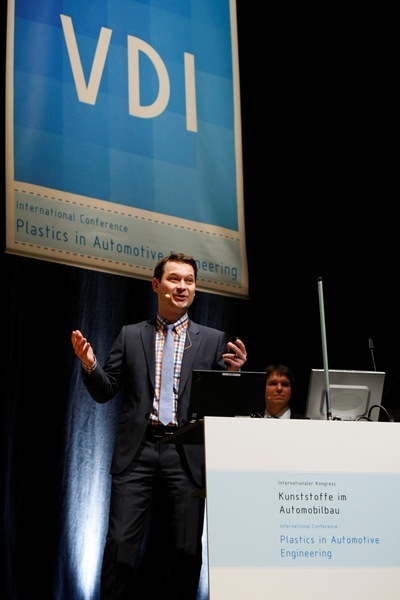 “We expect both increasing vehicle electrification and the trend toward autonomous driving to entail a sharply rising demand for polyamides, polyesters such as PBT and continuous-fiber-reinforced thermoplastic composites,” said Haspel, looking ahead. In addition to high strength, rigidity and toughness values, good electrical properties such as high creepage current resistance will still be needed. Furthermore, conductive components must not be prone to electrical corrosion – at least as far as this is possible. Taken in isolation, all these properties are nothing new for plastic applications in electrical engineering and electronics. To meet New Mobility requirements, however, these sometimes mutually exclusive requirements have to be combined. 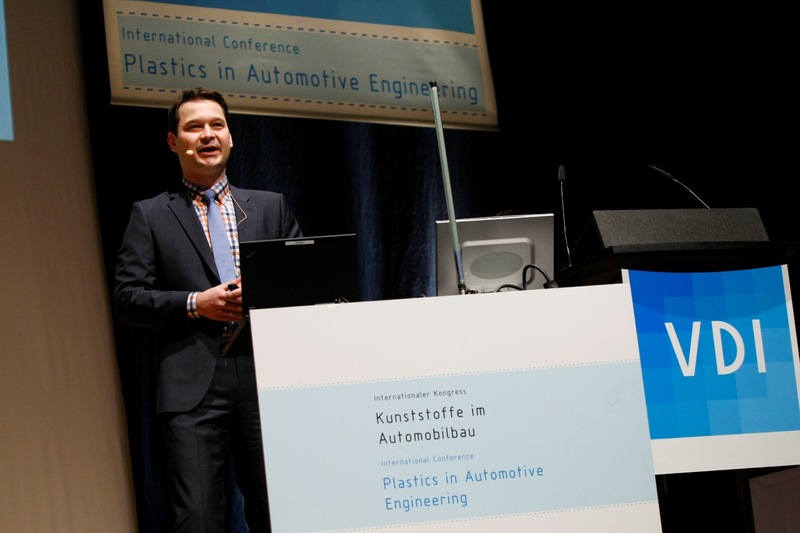 “Thanks to our many years of doing business with the E/E and automotive industries, we already have materials that conform to the most important global standards and standards of the E/E sector and are also used in vehicles,” said Haspel. LANXESS hosted the first Materials Day in Shanghai, China. Showcasing the company´s expertise in New Mobility to experts of the automotive industry, the conference offered solutions to increase energy and cost efficiency for fuel and new energy vehicles. LANXESS has identified a range of key applications for its thermoplastics in the field of electromobility. In addition to charging systems, inverters, electric motors and ancillary units such as cooling pumps and heating systems for the interior, the main focus is the battery system, where potential applications include cell holders, spacers, covers, supply lines, module carriers and housing parts. In many of these applications, the manufacturers of E/E components use traditional materials such as die-cast metals. 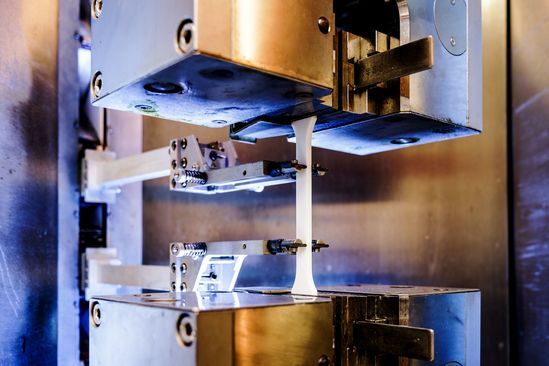 “We see huge potential here for substituting these for our high-modulus compounds and continuous-fiber-reinforced composites, for example in carriers of electronics modules in the area of the battery. We support manufacturers looking to exploit the lightweight construction potential, the design flexibility and the high, cost-reducing integration potential of our materials by providing material recommendations and component designs specially developed for plastic,” explained Haspel. Examples of such materials include polyamides from the Durethan brand with H3.0 or XTS3 thermostabilization. The first product from this series is the easy-flowing polyamide 6 Durethan BKV30H3.0EF DUSLHC. 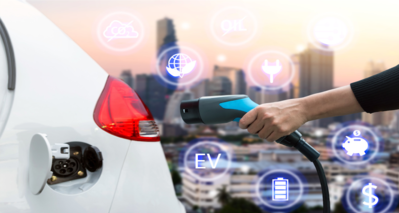 “We envisage them in a range of areas including housing parts, line circuit breakers and connection terminals in charging stations,” said Haspel. Possible applications in driver assistance systems include connectors and housings for sensors, displays and control units. Module rack for Mercedes-Benz S-Class convertible made of continuous-fiber-reinforced thermoplastic composite. 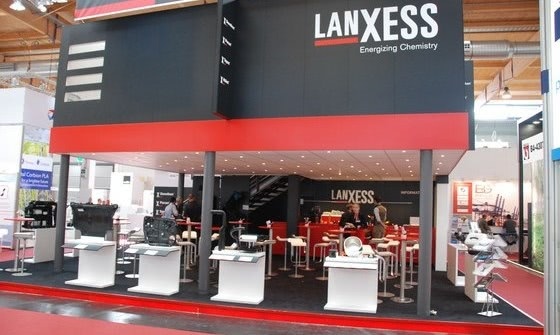 LANXESS subsidiary presents large-area structural part in thin-wall design. Blanks made of Tepex dynalite (left); shaped and overmolded blanks with numerous integrated functions (right). The flat areas of the module rack are only one millimeter thick thanks to Tepex dynalite. Durethan BKV50PH2.0 and Durethan BKV60PH2.0EF have short glass fiber content levels of 50 and 60 percent by weight respectively. The “P” in the product name stands for “Performance” and indicates the high fatigue resistance of these materials against pulsating loads. This means that these grades are many times more resistant to cyclical mechanical loads than standard products with the same glass fiber content. Potential applications include supporting structures for electrical and electronics modules in batteries for electric vehicles, engine oil pans, oil filter modules and end caps, engine and chassis mounts, damper pistons, and seat shells for passenger cars. In mechanical engineering, the new materials are suitable for dynamically highly stressed components such as gear wheels. In the HiAnt fatigue screening test, Durethan BKV60PH2.0EF is partly many times more resistant to cyclical mechanical loads than the standard product with the same glass fiber content. 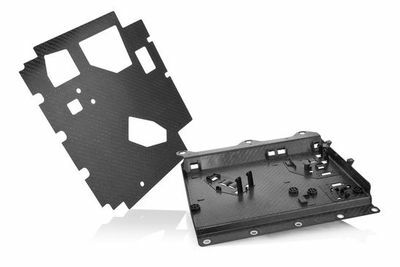 The mechanical properties of both high-modulus thermoplastics are at a high level similar to those of comparable polyamide 66 materials. “As a result, we also see both product innovations as cost-effective alternatives to polyamide 66 compounds, which have become significantly more expensive recently due to their limited availability,” explains Dr. Thomas Linder, an expert in the development of Durethan. Tests at LANXESS revealed that it is possible to use product variants with the same glass fiber content and therefore the same material density as substitutes. As a result the component weight does not increase. 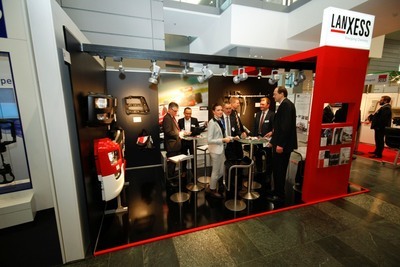 At Fakuma, the international trade fair for plastics processing, in October 2018, LANXESS had presented the first representatives of the new product range with Durethan BKV30PH2.0, BKV35PH2.0, BKV40PH2.0, and Durethan BKV130P. Their glass fiber content levels are between 30 and 40 percent. Conceivable applications include air intake and oil filter modules for cars as well as load-bearing housings of power tools. The elastomer-modified Durethan BKV130P is particularly impact-resistant and is suitable for furniture locking system components, for example. All four compounds are also suitable substitutes for polyamide 66. 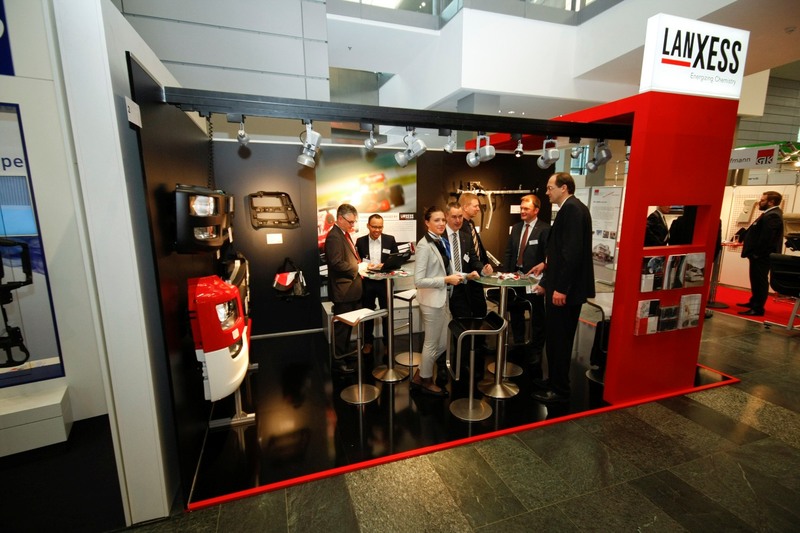 ‘High-Tech Thermoplastics for Future Mobility’ is the slogan under which the High Performance Materials (HPM) business unit of LANXESS showcasing at the VDI Congress ‘Plastics in Automotive Engineering’ in Mannheim, Germany. Like their “siblings”, the two new highly reinforced compounds are characterized by improved mechanical and structural properties. 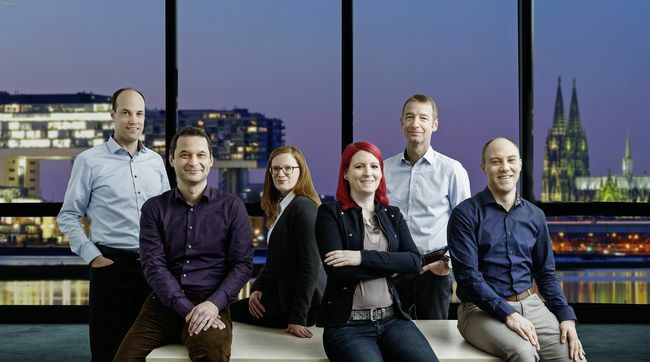 “For example, their tensile strength at high temperatures is higher than standard polyamide 6 variants with the same glass fiber content,” says Linder. To assess this behavior under a pulsating load, LANXESS has developed a HiAnt fatigue screening test that is based on a conventional Wöhler test. This revealed that under a transverse load of 65 megapascals, the lifespan of Durethan BKV50PH2.0 is around eight times longer than that of a standard polyamide 6 with the same glass fiber content. In a corresponding comparison, Durethan BKV60PH2.0EF demonstrates a fatigue behavior that is around ten times better. At the same time, Durethan BKV60PH2.0EF is characterized by its good flow properties (easy flowing, EF). The thermoplastic is therefore easy to process despite its high degree of glass fiber reinforcement. Its flowability is of a similarly high level to that of a polyamide 6 with glass fiber content of 30 to 35 percent. 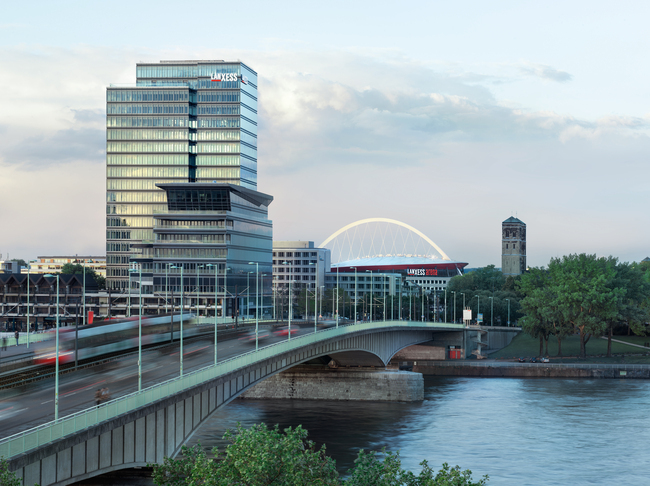 Lanxess focuses on new mobility and the substitution of polyamide 66. LANXESS supports customers worldwide in all phases of plastic component development with its tailored HiAnt services. 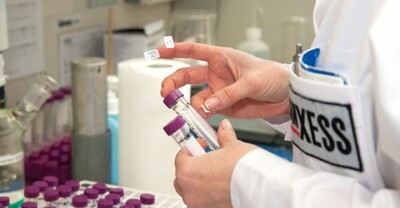 These include, for example, tensile tests to determine material data. The services with which LANXESS supports project partners during the development of components for use under pulsating loads include a wide range of component tests. “The equipment at our shaker technical center covers all current vibration tests for the fatigue behavior of components in vehicle applications,” explains Linder. Its customer service also includes pressure threshold tests on components from the vehicle cooling circuit as well as pressure change and backfire tests. All these services are part of HiAnt. Under this brand, LANXESS has bundled its engineering expertise in the development of thermoplastic components for customers. High-tech lightweight design with thermoplastics. 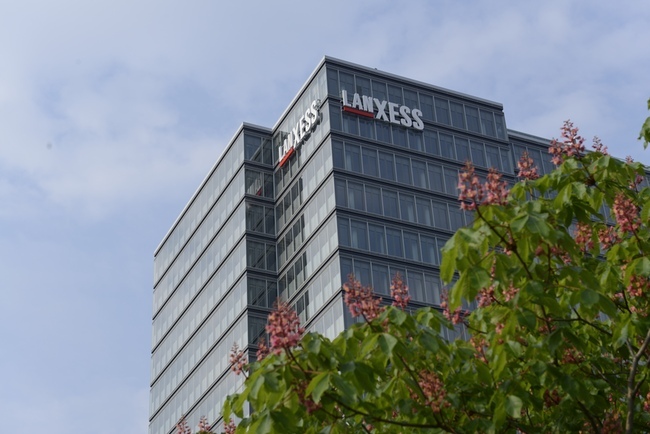 Since August 1, 2013, specialty chemicals Group LANXESS is steering its global business from the LANXESS Tower in Cologne, Germany.